It’s no secret that the William & Mary student body is filled with academic all-stars. Some students, in particular, are celebrated for their hard work each year by internationally known organizations with monetary awards, scholarships and fellowships, some of which allow them to travel around the world. Here’s a look back at the students who, with help from the Charles Center, took home — and took off with — major nationally and internationally competitive awards in 2016. Boren Scholarship: Austin Spivey ’16, a dual major in international relations and Middle Eastern studies, discovered her love for Arabic language while studying French in Morocco. Following her graduation in May, Spivey jetted off to Oman as a recipient of the Boren Scholarship, an award reserved for students who intend to use their language skills to pursue careers vital to national security. Spivey is one of 165 students (from a pool of more than 800 applicants) nationwide to receive the scholarship. Upon her return, she hopes to eventually pursue a career as an interpreter or translator with a government organization like the CIA or FBI. Carnegie Junior Fellowship: As a kid, Becca Brown ’16 always had big dreams of experiencing the world. That worldly ethos, coupled with a track record of stellar achievements as an international relations and economics double major at William & Mary, is perhaps what attracted the Carnegie Endowment for International Peace, an esteemed global affairs think tank, to her résumé. 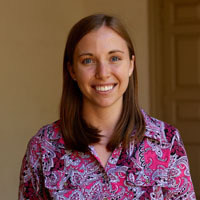 Brown is one of just 14 students nationwide (from a pool of almost 200 applicants) in 2016 to have been awarded Carnegie’s Junior Fellowship, a one-year program in which recent graduates spend a year in Washington, D.C., researching international aid, security and development within a specific region or policy. Brown’s focus is on security and development in South Asia. She is the fifth W&M student to ever be awarded the opportunity in the program’s 25 years of record keeping. Fulbright Scholarship: Nine recent W&M graduates joined the ranks of Fulbright U.S. student scholars this year, earning the opportunity to spend a year teaching, researching, studying, and working in cities around the world. Sagra Alvarado ’15, Shannon Callinan ’16, Beatrice Chessman ’16, Annie Curran ’16, Ryan Feeney ’14, Clay Harris ’14, Constance Hull ’16 and Natasha King ’16 each jetted off to countries from Italy to South Africa for the program, which is operated by the U.S. Department of State and is the largest international exchange program open to American students and young professionals. Shaina Salman, J.D. 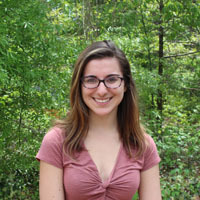 ’16 also became the first W&M graduate to be awarded the Fulbright-Clinton Public Policy Fellowship, which sends recipients to serve as special assistants in foreign government ministries while carrying out an academic research project. Goldwater Scholarship: W&M continued its excellent track record with the Goldwater Scholarship Program this year with three students snagging coveted spots on the list of just over 250 undergraduates nationwide. Lyuba Bolkhovitinov, Bernadette Deschaine, and Melissa Guidry (pictured above), all juniors at W&M, were selected from a pool of 1,150 applicants, and will receive up to $7,500 to cover tuition, fees, books and room and board. The award was established in 1986 to honor the late Sen. Barry Goldwater and is reserved for sophomores and juniors who intend to pursue careers in math, science and engineering. Jessica Joyce ’17 received an honorable mention. 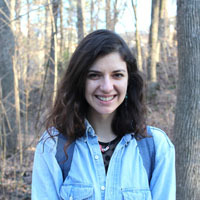 Humanity in Action Fellowship: It only took a semester for Alexandra Granato ’16 to discover her deep interest in minority rights issues around the world. So the Humanity in Action Fellowship, an educational program that brings students and recent graduates from nine countries together in an international city to learn about the social and political roots of discrimination, was the perfect fit for Granato following graduation. 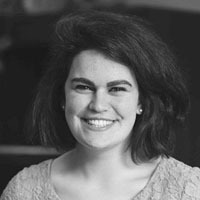 Granato, a self-designed double major in race, gender and cultural studies and film and media studies, spent a month over the summer in Warsaw, Poland, as a recipient of the fellowship, where she learned about human rights issues spanning from the Holocaust to modern-day issues facing minorities, such as racism and xenophobia. Luce Scholarship: Rebecca Schectman ’16, an international relations major, wasn’t especially familiar with Asian culture until she became one of 18 students selected nationwide to travel to the continent as part of the Luce Scholars program. Schectman’s “Luce year,” which started in July, is being spent in Kuala Lumpur, where she is working with an organization that protects refugees and assists in welfare needs. Schectman is the second W&M student to be awarded the Luce Scholarship since the program’s founding in 1974. The scholarship provides stipends, language training and professional placement in one of 14 Asian countries in an effort to provide young leaders with a deeper understanding of the culture. Udall Scholarship: Environmental policy is often supported by science, but Rachel Merriman-Goldring ’17 believes in also enacting change through public art. It’s this unique approach to environmental education that garnered interest from the Udall Foundation, which selected Merriman-Goldring as one of their 2016 scholars (one of 60 out of 482 candidates). 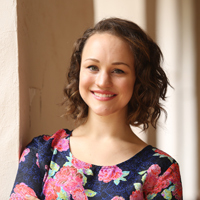 As a scholarship recipient, Merriman-Goldring was awarded up to $7,000 and spent a long weekend in Tucson, Arizona, over the summer meeting with other scholars, professionals and Udall alumni. The Udall Scholarship is reserved for sophomores and juniors who intend to pursue careers related to the environment, tribal public policy or American Indian healthcare.